Duncan over at Yellow Bricks announced that he’s releasing the vSphere 4.1 HA/DRS kindle version for free for two days only. 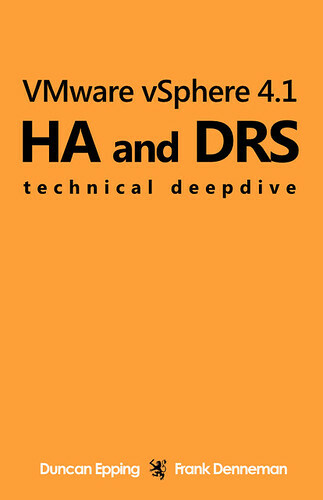 It explains good details of VMware HA (Remember this book focuses on the vSphere 4 implementation of HA) and DRS. If you’re looking for a great book on vSphere 5 HA which has an entirely new architecture, check out the other book here. The new book is a great deal as well at $9.99 for the kindle version.